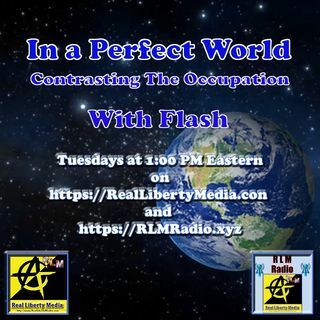 Flash goes Solo, once again for today's show and he discussed a wide variety of topics (see tags and listen to podcast) for creating and living in a better world. All of the problems of the world solved! Today's show was a good discussion on how people embrace and demand their fictional concepts of what is ... Más informaciones really happening in their lives. It was a fun, lively and interesting show.